My original idea for my studio final project is to meet a blind participant, get to know them for a few hours, and then invite them to Barneys with me to try on clothes. 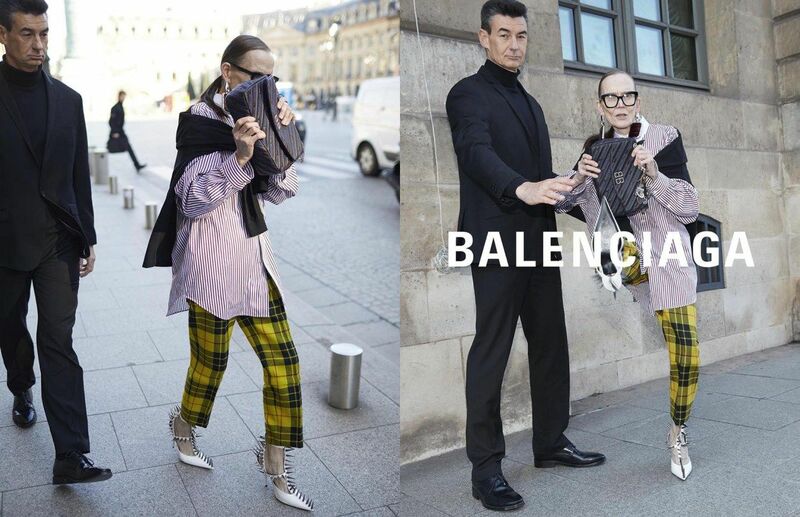 I chose four brands to investigate: Balenciaga, Gucci, Ralph Lauren, and Saint Laurent. I will style and photograph them within these clothes. 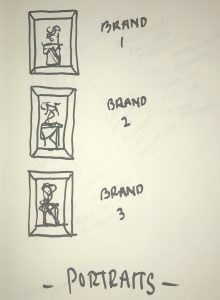 Following this investigation, I will edit the photos into beautiful large framed prints, that will be accompanied by a video interview of my participant explaining what the different brands feel like physically, emotionally, and if the materiality varies between the brands. It took me a few weeks to finally get to this point in my process. I met with the Creative Director of Marc Jacobs fragrances, Jemme Aldridge, to help guide my idea into a better executed project. Between the past two classes, I discovered that finding a blind participant is quite a challenge. 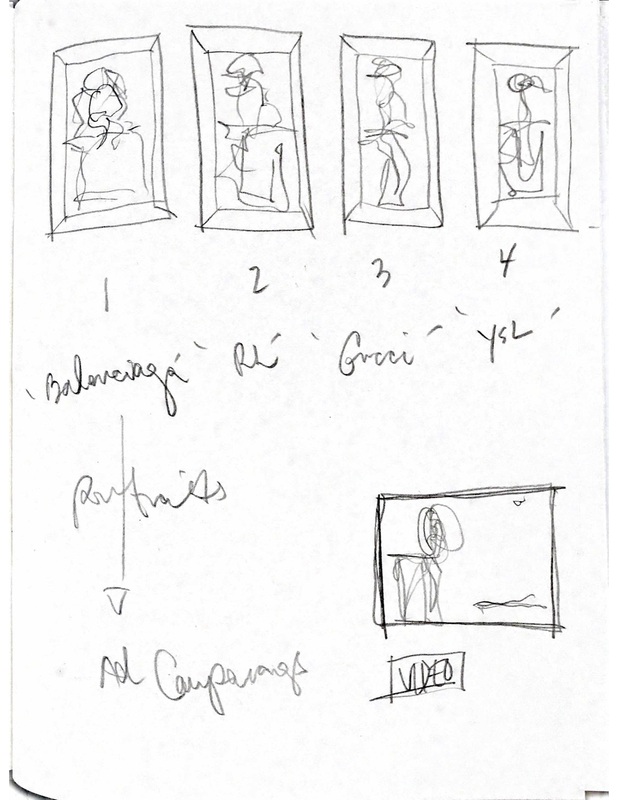 I am going to redirect my project using a bind-folded person. I spent this past week taking a break from the logistics of my project to sit down with my concept and create a visual journal around my thinking. Since my investigation is gearing towards what fashion ‘feels’ like and the interaction/experience of luxury fashion, it was imperative that I took time to understand the meaning of my topic. 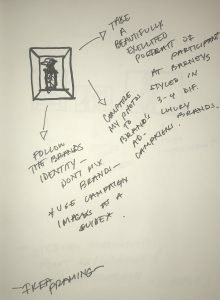 I want to understand what fashion truly ‘feels’ like through my Barneys investigation. I can achieve this by answering the following questions through my project: Can different luxury brands make someone feel different? How does dressing impact the way we feel? What does fashion feel like physically? Emotionally? Do different brands feel differently? How so? 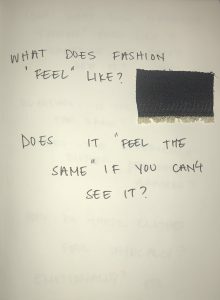 By restricting someone of their sight, and forcing them to interact with the fashion only on a ‘feeling-basis,’ I feel my study will give a more honest insight into the power of fashion / materiality. 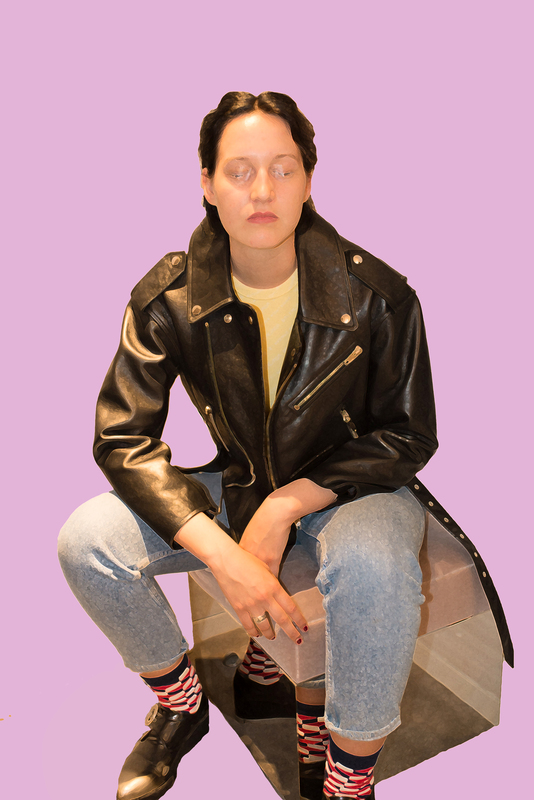 This week I had my photo shoot at Barneys and collected the photo material for my photo series. The process was much harder than anticipated as we had to photograph inside of the actual fitting room. 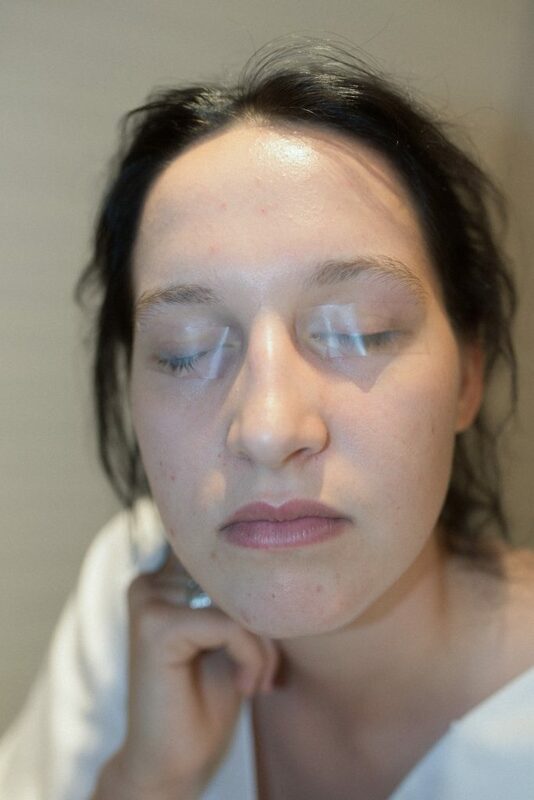 To simulate my investigation through fashion/ materiality, I used Scotch tape over the eyes of my participant so they couldn’t see within Barneys. 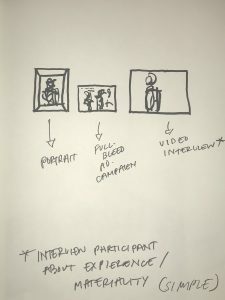 I am currently in the editing process and am deciding if I should keep the photos somewhat unedited (other than lighting, background, etc) or digitally enhance the photos to have more of an artistic effect that relates to the experience of my participant. I photoshopped a pink background onto the image as my participant imagined our environment (Barneys) in the color pink. This is my edited image (unsure if it’s the final version) featuring clothing from Balenciaga. 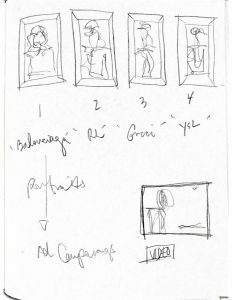 The images will be displayed with the corresponding brand’s ad campaign as well as audio from my participant (that I plan to work on this week). The final image will be printed and framed. 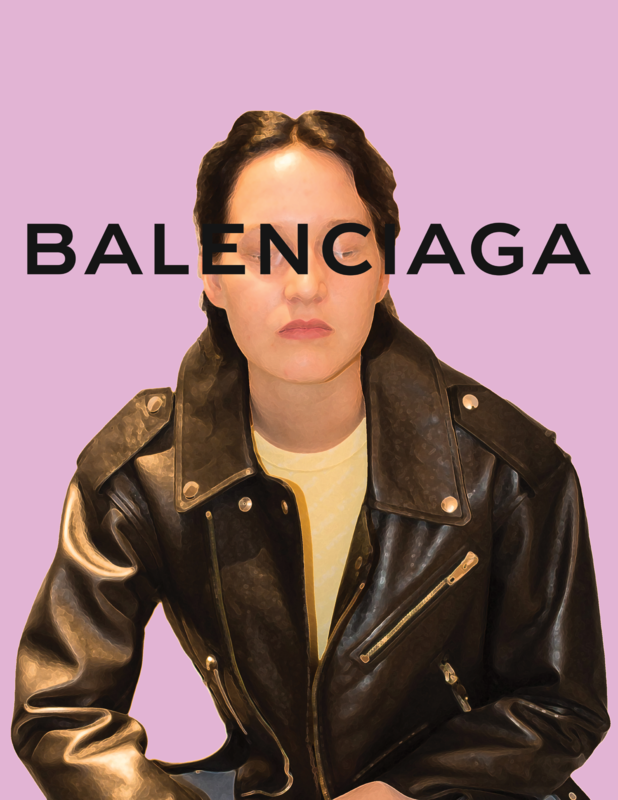 *I played around with the branding of Balenciaga and through it on my image, as an experiment.